Have you been to the beach lately? 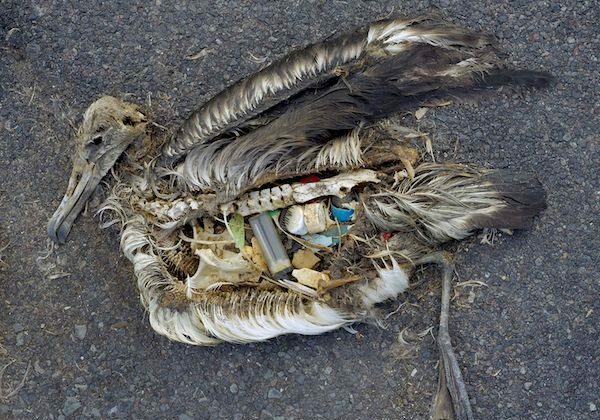 Maybe you have noticed a few cans, some plastic bottles, and maybe some other debris and thought “it doesn’t matter, it’s just a few pieces.” The reality is much worse than most people realize. There are literally millions of tons of plastic in the oceans, millions of gallons of oil and chemical run off poisoning the water, and drift nets and other refuse that people just write off as “garbage”. Let’s break it down for a minute and look at a few examples of what happens to what we throw in that trash can. Plastic is found EVERYWHERE these days, and I do mean that literally, EVERYWHERE. Every country has been effected by this kind of pollution. Scientists are even finding that plastics are inside our bodies, and some of the chemicals in degrading plastic have really horrible health effects. To marine life it’s even more devastating. Sea turtles mistake a plastic bag for a jellyfish and end up suffocating. Birds end up mistaking plastic refuse for food and feeding it to their babies, who then starve, at no fault of the parents. Other pieces of plastic end up around animals fins or necks, hampering growth and movement. Another example is drift nets, or so called “ghost nets”, lengths of nylon fish net that fishermen abandon because they are too tangled to salvage. These nets trap animals which then serves as further bait for more animals, the number of animals these abandoned fishing gear affect is in the thousands if not the millions, from crabs and other small animals, to sharks, dolphins, even whales. Once trapped, even the most powerful whales are unable to move or swim, and slowly starve, or drown. These animals, called “by-catch”, are not even what the fishermen are looking for, but they count for thousands of deaths per year. Oil and Chemical spills, another HUGE problem….leading to thousands of deaths, millions of dollars of clean-up…and long term health problems for sea life in the area of the spill. Scientists are still studying what the long term effects of the Fukushima radioactive disaster from the tsunami might be in the long term, but the short term effects are already being manifest in contaminated fish. These kinds of man made problems have long lasting results, but there ARE ways that humans are helping this bleak situation. Governments, different organizations, and innovative people are tackling this problem and coming up with new and inventive ways we can combat these problems. New plastics are being invented that will reduce pollution. Another innovation is a water holding membrane that could completely replace plastic water bottles, which degrade over time and release toxic chemicals into the water the contain. Students are also taking part in the clean up efforts and there are steps everybody can take to help with this problem. Other organizations are helping with wildlife rehabilitation when sea creatures are caught in nets or harmed by boats or sickened by the water. Here are some very simple ideas for how you can help clean up this massive problem: Use paper bags when you do your grocery shopping, or cloth bags that can be reused time after time; Carry a cloth bag with you when you go to the beach and collect plastic, metal, even glass refuse; When you encounter bugs in your garden or want to get rid of weeds, don’t rely on chemicals, instead, try to choose more biodegradable options. Vinegar mixed with soap, water, and a tiny amount of ammonia or a generous dose of salt is generally enough to kill most weeds. Another good option is to use a glass or metal water bottle that can be washed and reused again and again, rather than relying on plastic bottles which end up in garbage dumps and in the oceans. Another good idea is to try and be inventive with things that you don’t need anymore. For instance, an empty gallon milk carton makes a great scoop, or a funnel. Glass bottles can be cut and the sharp ends melted to make colored glasses for the kitchen, old nets can be used as hangings in the house and decorated with different small items, or simply used to keep toys and other small objects off the floor. These are just a few of countless ideas how one person can help tackle enormous problems.